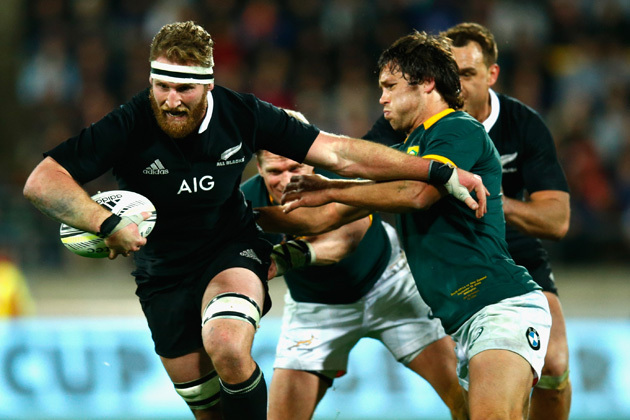 Is Charles Ollivon the new Kieran Read? Is Bayonne’s Charles Ollivon France’s Kieran Read? 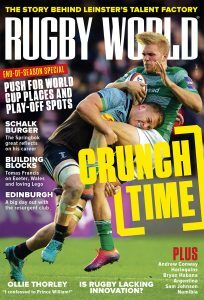 Rugby World: How’s the knee you injured on Saturday? Charles Ollivon: It’s OK. I had a scan on Monday that revealed there’s no ligament damage, and it’s not as serious as first thought with just a muscle strain behind the knee. I’m out of the Exeter game but will be back in a couple of weeks. RW: How do you explain your superb start to the season? CO: First, I have the confidence of the coaches so I’m able to go out and express myself and that’s very important. Also, I’m in a squad with experienced players like Scott Spedding and Santiago Fernández, who set an example and offer advice. That’s been a great help to me and the other younger players. 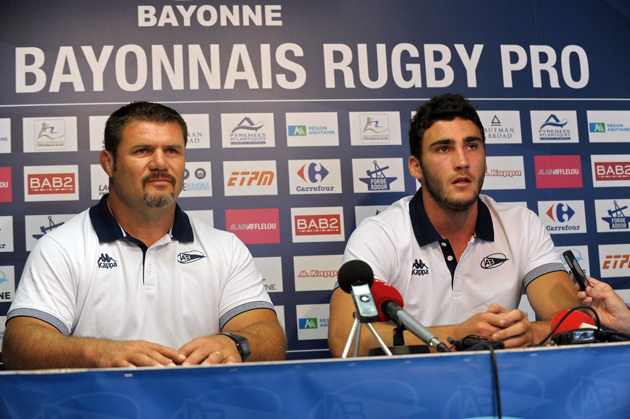 RW: What influence has coach Patricio Noriega had on Bayonne since his arrival in July? CO: He’s a very humane coach, by which I mean he’s interested in the players and how they are getting on, on and off the pitch. You can discuss anything with him, rugby or otherwise, and that climate of confidence has created a good atmosphere within the squad with no cliques and the players enjoying each other’s company. RW: Midi Olympique recently described you as a “phenomenon”. Feeling the pressure? CO: A little, it’s something new for me. I’m still young and it’s happened very quickly. A few months ago I was a nobody and now people want to know all about me! So there is some pressure but luckily I’m at Bayonne, where I grew up, so I have my family and friends around me and that keeps me grounded. RW: Toulon are rumoured to be on your tail. Do you listen to idle gossip in the papers? CO: Frankly, I just concentrate on the rugby and doing my best on the pitch. The rumours I’m aware of but I don’t pay much attention to them. RW: What do you know of British and Irish rugby? CO: I didn’t really have any heroes as a kid. The player who I use as a reference today is Kieran Read. He’s the complete No 8, outstanding in the set-piece and the loose, and that’s what I aspire to be. RW: Tell us about Pelote Basque* and it’s influence on your rugby career? CO: Pelote has been very important because it’s a fast game that requires agility and very good hand-eye co-ordination. I played pelote a lot at school and have found that it’s been a great help in my rugby, improving my agility and also my passing and offloading out of the tackle. RW: You’re born and bred in the Pays Basque, what makes the region so special? CO: It’s the strength of its identity, which is a mix of French in the north and Spanish in the south. It’s a culture which has its own language, dances, sports, traditions and that has created a unique ambiance. And the Basque people are very welcoming. RW: Why were you never capped for France as a junior? CO: You’d have to ask the selectors! I don’t know. I worked hard, tried my best but it never happened. RW: Was it because you focused more on your commercial management studies than your rugby? CO: No. I succeeded in my studies because I had the time to do so after not being selected [for representative rugby honours]. But I’m pleased with the way it’s panned out. I passed my management studies and now I’ve been called up to the senior squad. It’s the best of both worlds! RW: Describe your emotions when you got the call last month from Philippe Saint-Andre? CO: I was like a big kid. There was a lot of pride because, as I’ve just said, I wasn’t selected as a junior, so to get called into the senior squad showed all my hard work had paid off. Now I’m just very motivated for the future: I’m in the squad but I haven’t yet played for France. So a lot of work still to do. RW: The French squad had a few days together earlier in the month. How’s the morale after last season’s poor run? CO: The spirit is good, there’s a good feeling in the squad. It’s been a tough year or so but we’re confident the results will come.